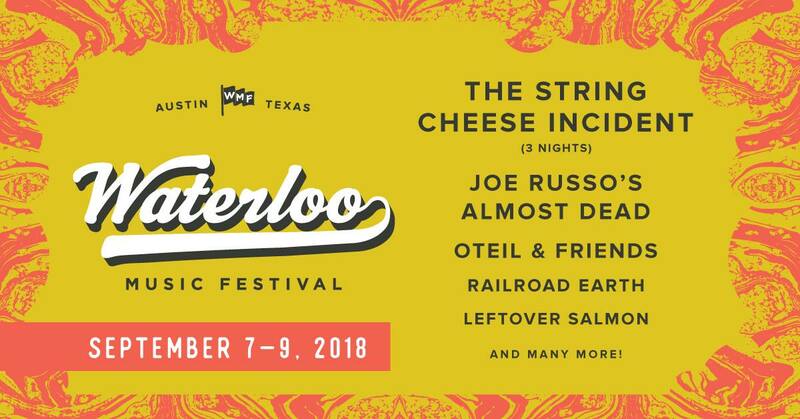 Austin’s latest musical throwdown is the Waterloo Music Festival, a brand new music and camping festival nestled on the banks of the mighty Colorado River at Carson Creek Ranch. If jam bands, funky rhythms and the great outdoors tickle your fancy, you’ll have a blast at Waterloo. Get 50% off your 3-day GA pass or VIP for the price of GA with Everfest Premium. Prefer a crisp, juicy glass of hard cider rather than a mundane beer? Look no further than the annual Cider Summit, a series of events held in various cities around the country that feature high-quality regional ciders. With over 150 ciders, cider cocktails, meads and apple spirits to choose from more than 50 producers (regional and international), each one is a delightful, palate-pleasing beverage that will quench your thirst. You’ll even have the opportunity to taste test these unique creations and vote for your favorite via text to determine the champion. Get a $2 GA ticket with Everfest Premium. There’s no time to watch your weight when festivals like San Diego Reader Burgers & Beer roll around. Put off that diet and exercise routine for one more day so you can devour San Diego’s tastiest meat patties and suds without shame. Curated exclusively by Reader’s food writers, this delicious battle pits local restaurants and vendors against each other in a competition that determines the best burgers in the city, of which you get to be the judge. If that doesn’t send your taste buds into overdrive, then that’s just plain un-American. Get a FREE VIP ticket with Everfest Premium. As if you needed another excuse to drink wine and listen to music this summer, along comes VINO Palooza Wine & Music Festival, a fun-filled, award-winning festival produced by none other than singer-songwriter Ryan Cabrera and Tier 1 Events. VINO Palooza changes venues every year, but the experience itself remains the same. Everyone is treated like a VIP with access to unlimited samples from over 20 regional wineries, as well as thirst-quenchings samples of spirits and craft brews. In addition, you’ll snack on a variety of small, delicious bites to pair with your drink of choice. Get 99% off your GA ticket with Everfest Premium. Music and beer are one of the most heavenly combinations in existence. Throw food into the mix and you’ve got yourself one hell of a weekend. 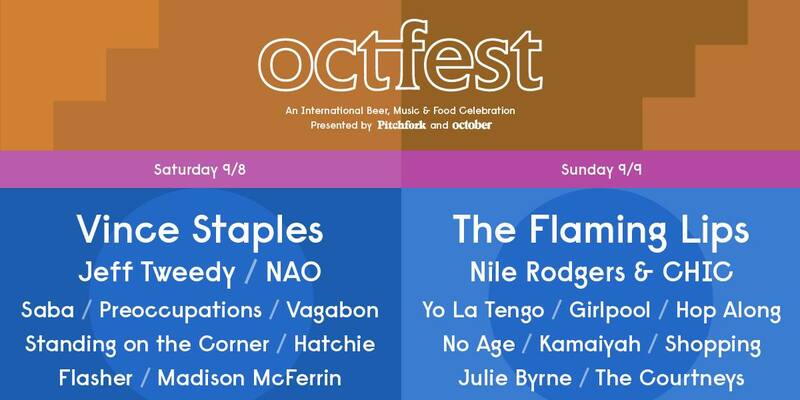 OctFest is a sudsy experience presented by Pitchfork, “The Most Trusted Voice in Music,” and October, a website dedicated to beer culture, so they really know what they’re doing. It features two days’ worth of thirst-quenching brews from around the world, finger-licking eats curated by Bon Appétit Magazine and an all-star music lineup spanning multiple genres. Prepare your taste buds and eardrums for the ultimate sensory experience. Journey to the serene Bhakti Fest at the Joshua Tree Retreat Center, a wondrous yoga retreat and sacred music festival tucked away in the desert of Southern California. Not only is it the escape you need, it’s the one you deserve, and you’ll come out of it with your body, mind and spirit in sync, ready to take on the demands of daily life. Get $100 off your Full Festival Pass with Everfest Premium. Not a member? Use code ‘EverfestBF2018’ at checkout for 15% off your pass. This transformative, multi-day experience is designed to help you connect more intimately with yourself as well as others through four full days of world-class workshops, blissful dance, inspiring DJ’s & live music, invigorating yoga & meditation, delicious food, warm & hot pools, and tantalizing, natural surroundings. Families with children are encouraged to participate in this heart-open gathering so we can usher the next generation into a world of respect, compassion and love. Your experience at SoulPlay is chock-full of colorful adventures led by a team of world-class presenters who teach workshops on diversity, mindfulness, dance, creativity, theatre, intimacy, and so much more. Get 50% off 4-day Weekend passes with Everfest Premium. From mouth-watering street food and signature bites to hoppy craft beers and refreshing cocktails, all food and drinks here are made with fresh, locally sourced ingredients. Supporting Oakland food systems for more than a decade, Eat Real features over 70 sustainably sourced menus from regional restaurants that serve up everything from barbecue and cheesesteaks to a host of vegetarian and vegan options. In addition, there are over 40 craft beers, wines and cocktails from regional breweries and wineries to complement each delicious bite. Get FREE drink tickets, gifts, and tastings with Everfest Premium. KAABOO Del Mar combines musical sensations, world-class cuisine, contemporary art, hilarious comedians, and more under the San Diego sun. KAABOO Del Mar gives all their attendees the kind of VIP treatment most of us only dream of. By placing a premium on the kind comfort and quality that other festivals may lack—think flushable toilets,—KAABOO Del Mar gives ample opportunities for adults to let loose, indulge, party, and escape the tensions of reality for a stress-free weekend. Don’t have your ticket? Buy tickets, earn points, and redeem rewards for KAABOO through Everfest! Then, get 50% off online merch with Everfest Premium. Over the course of two glorious nights, you’ll groove to 30 indie bands spanning southern rock, country, hip-hop, metal, and funk at Howl at the Moon Indie Music Festival. Beyond music, the lawn is chock-full of other things to do from eating and drinking to playing a host of fun-filled games and laughing your head off during comedy sets. While this takes place on the lawn of the Two Rivers Mansion, it isn’t your typical mansion party, and we wouldn’t have it any other way. Get a FREE 2-day GA pass with Everfest Premium. Imagine having a world’s worth of whisky under one roof. Whiskies of the World packs over 200 whiskies from around the world, and they’re all at your fingertips for you to enjoy. You’ll catch a whiff and get a taste of phenomenal whiskies made in the USA, Canada, Scotland, Ireland, Japan, Australia and beyond. Austin (Sept 20): Get 50% off VIP or GA with Everfest Premium. Dallas (Sept 21): Get 50% off VIP or GA with Everfest Premium. Houston (Sept 22): Get 50% off VIP or GA with Everfest Premium. From the top EDM acts to the playful atmosphere, complete with Iris Girls in exotic costumes and an Imaginarium devoted to up-and-coming acts, Imagine Music Festival has refined its immersive aquatic wonderland, created and curated by the dazzling event production wizards at IRIS Presents. In a move that signals exciting growth, the EDM megafest took over The Atlanta Motor Speedway for the first time in 2017. Could Imagine become the Electric Daisy Carnival of the south? Get VIP for the price of GA with Everfest Premium. Don’t have your ticket? Buy tickets, earn points, and redeem rewards for Imagine Music Festival through Everfest! Seismic Dance Event is bringing the heat for its inaugural year at Carson Creek Ranch. Adding an electronic allure to the Austin music scene, deep and tech house DJs takeover the beautiful 60-acre property to keep you dancing all night long. Not only will you enjoy great music, you’ll never have to miss a beat with different camping options along the banks of the Colorado River that flows through the grounds. Get 50% off 2-day GA and Standard Camping with Everfest Premium. The Big Easy is known for slinging cheap cocktails on a regular basis, but let’s consider other alcoholic beverages for a moment. The craft beer industry has exploded in the United States, and there’s perhaps no better place to drink stand-out suds than in a festive city like New Orleans. Throw in some cute adoptable animals from the Louisiana SPCA and you’re living every craft beer drinker’s dream. Welcome to NOLA on Tap, the largest beer event in the region. Get a FREE GA pass, 75% off VIP, and more with Everfest Premium. BaseFEST hosts an all-day festival at the military’s largest bases around the country to cultivate a community that not only supports the troops but has fun doing it. Like any other great festival, expect to find lots of food and drinks along with a VR station, kid’s zone, gaming, and sports & fitness activities. This year, dance along to The Offspring and other supporting acts. Get a FREE Premium Viewing Ticket with Everfest Premium. Same Same But Different Music & Arts Festival in Riverside County, California is the new kid on the block that boasts a diverse music lineup spanning funk, reggae, rock n’ roll, bluegrass, electronic, and more. Held on beautiful Lake Perris, an artificial lake surrounded by small mountains and natural beauty, this fun-filled festival aims to bridge the gap between people through music, art and outdoorsy adventures. Get 99% off your GA pass with Everfest Premium. Not a member? Use code ‘Everfest10’ at checkout for 10% off all ticketing. The wild west meets a wild weekend at Goldrush Music Festival in Chandler, Arizona. Taking place at Rawhide Western Town & Event Center, this music festival is a fully immersive western experience. Aside from the uniquely immersive Old West experience, Goldrush Music Festival also brings in standout talent, gathering the best in EDM and hip-hop to give you the best of both worlds all in one place. Get 99% off your GA pass with Everfest Premium while supplies last! Or purchase your tickets online for this can’t miss event. Never in your wildest dreams did you think you’d throw down on a Navy battleship. Indeed, bassheads from all over the country are invited to climb aboard The New Jersey (BB-62), America’s most decorated and surviving warship, to rage at the explosive High Caliber Festival. Hosted by Unlocked Presents, this one-day music festival aims to sink the ship with a lineup of the heaviest, grimiest drum and bass and dubstep artists around. Brooklyn Comes Alive is one of those festival experiences we don’t need to lay out for you in full; that would just spoil all the fun. Instead, our only advice when you arrive in the hip neighborhood of Williamsburg, Brooklyn, is this: expect the unexpected. This one-day music festival is inspired by the upbeat musical communities of Brooklyn and New Orleans, featuring endless surprises from hand-selected supergroups to on-the-spot jam sessions and once-in-a-lifetime collaborations. Get VIP for the price of GA with Everfest Premium. You’re always hungry for good food and music, but few events have the ability to master such a delicious combination. Thankfully, Music Tastes Good in Long Beach, California, delivers an eclectic, multi-sensory experience that won’t leave you on an empty stomach. Foodies and music nerds alike will salivate over the staggering variety of flavors prepared by acclaimed West Coast chefs and a killer lineup of international touring artists spanning multiple genres. Get 99% off GA or VIP for the price of GA with Everfest Premium. Just five minutes from the Salt Lake Airport, the Utah State Fair Park is the perfect spot for this metal festival. Get ready to headbang your heart out and throw a fist or two (for moshing purposes) at Crucial Fest. On three stages across two days, fill your ears with very loud music of various genres including rock, punk, folk, electronic/synth-wave, hip-hop, metal, post-rock, and industrial, and psyche. Get a FREE 2-day VIP pass or 50% off GA with Everfest Premium. Get 99% off your Season, Weekend, or Afterdark pass (to any weekend) with Everfest Premium. Alive and kicking since 1976, Red River Revel has garnered significant recognition and was even featured on ABC’s Good Morning, America! Accolades aside, it’s all about the rich, festive experience, and Red River Revel more than delivers with phenomenal artwork, varied music performances and finger-licking eats across nine spectacular days. Get a FREE 9-day pass with Everfest Premium.